So before your group reaches wriggly bottom syndrome you can swing into action with a tried and tested game or acitivity. This book provides some great suggestions for breaking up a session while complementing the teaching you're sharing. The young people in your group will quickly grow to know and appreciate the variety in your sessions and will be eager to join you every week for their time of fun and learning. 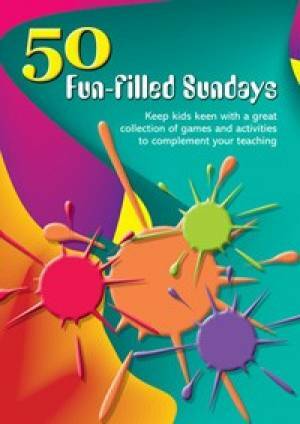 50 Fun-Filled Sundays by Kevin Mayhew was published by Kevin Mayhew in October 2005 and is our 15074th best seller. The ISBN for 50 Fun-Filled Sundays is 9781844174799. Be the first to review 50 Fun-Filled Sundays! Got a question? No problem! Just click here to ask us about 50 Fun-Filled Sundays.